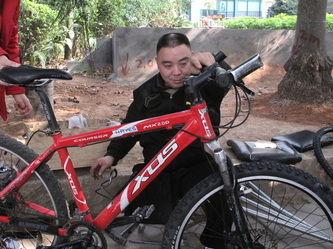 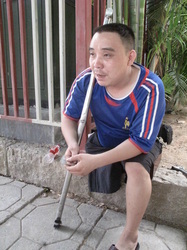 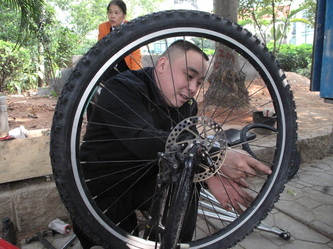 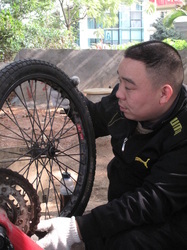 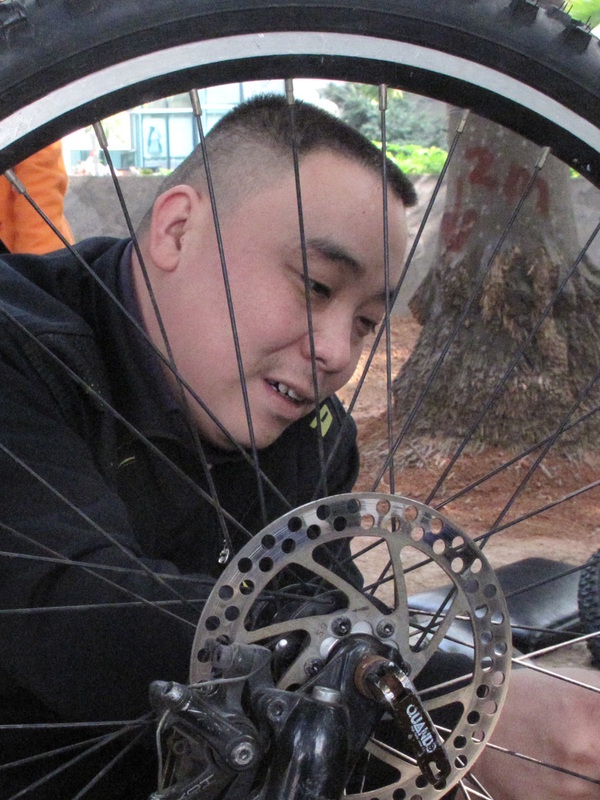 This is a local bicycle repairman. 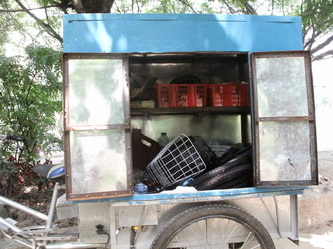 His "shop" is in a shady spot near a local park. 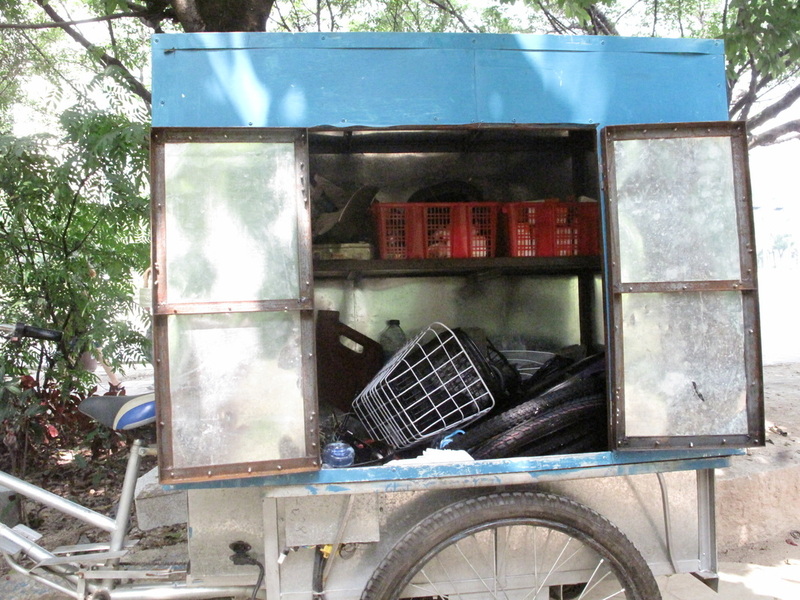 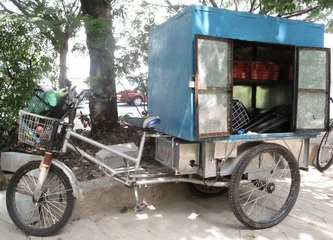 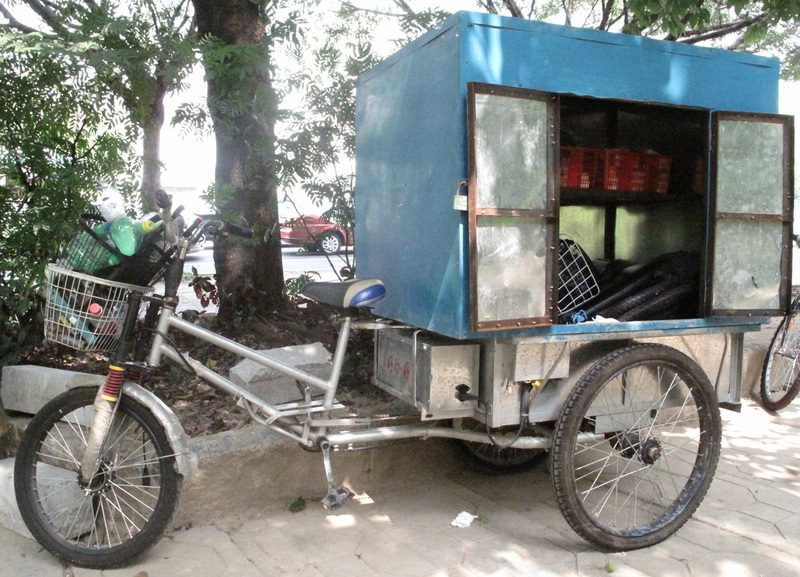 It's on the back of an electric tricycle (that he built,) and carries all the tools he needs to do anything but frame repairs. 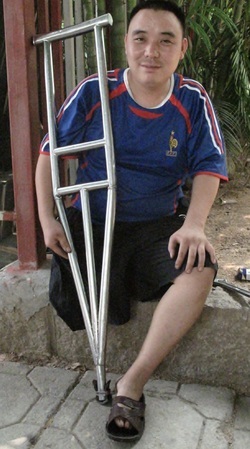 The crutch is particularly interesting. 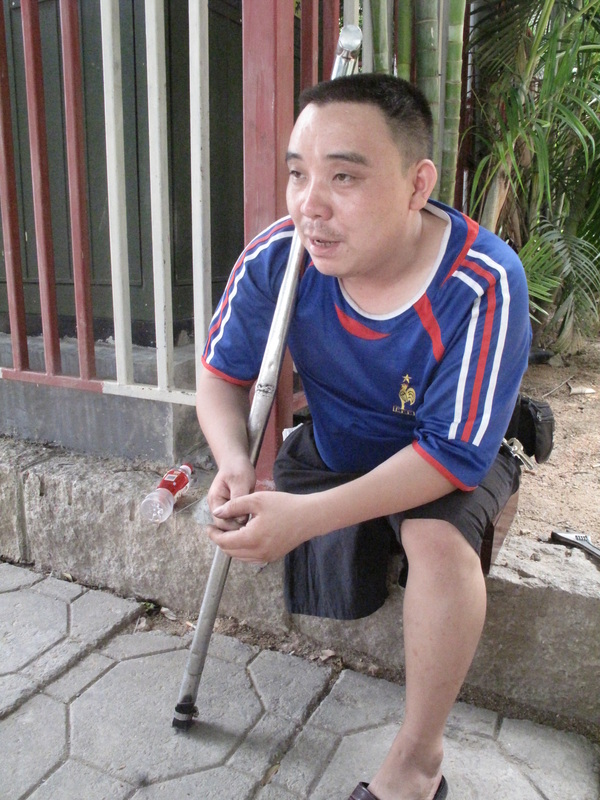 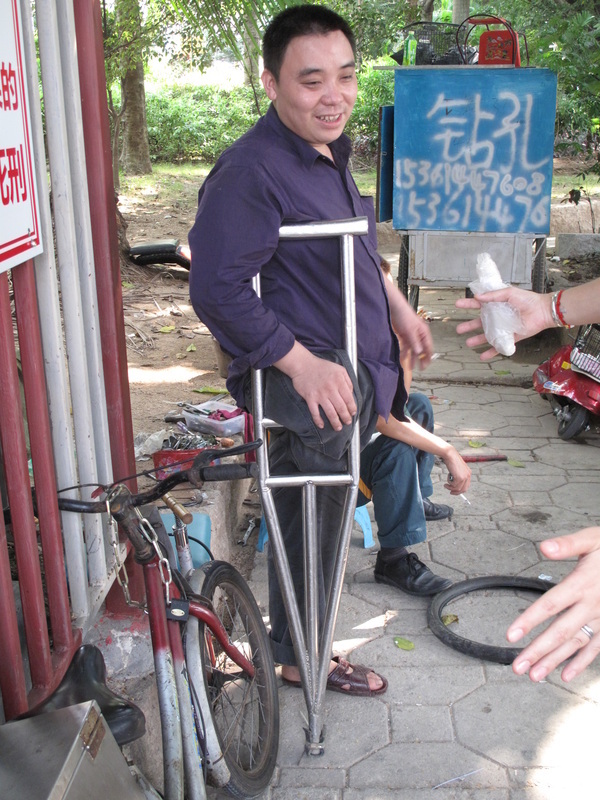 To walk, he places his stump on the crossbar, making it into a kind of prosthesis (or is it a crutchthesis?). 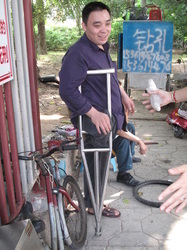 It's not a hi-tech, titanium, computer assisted American prosthesis, but it gives him mobility.